PLEASE BE AWARE THAT WE DO NOT ADVERTISE ON CRAIGSLIST! Are you looking for that spectacular, unforgettable place that you will just not want to leave? The kitchen has a La Cornue stove, fireplace and pizza-oven, a 12 foot door that opens up the whole kitchen to the ocean and let's you step out onto a deck that feels like an extension of the kitchen. Walk down a few steps and enjoy the fire pit on the stone deck surrounded by flowers and the largest aloe plant you have ever seen. Enjoy your morning coffee or evening drink in the hot tub while watching the stars or the west Marin coast line and Pacific Ocean. The kids will have plenty of fun in the play house, in the sand box or on the swing set - or down at the beach which you reach through a private walkway in only 2 minutes. A favorite ritual in the morning will surely be taking the 5 minute walk to picturesque downtown Stinson Beach, get a coffee at the coffee stand and a newspaper at the market and either sit down on the bench and chat with the bikers and other coffee drinkers or bring it back home and put your feet up and marvel at the beauty of the ocean. The main house has 3 bedrooms and two baths on the second floor. Wake up in the king bed in the master bedroom, look to the West and see the ocean or look to the East and watch the morning fog lifting from the hills. Enjoy the evening in the beautiful sun room over looking the ocean or go out on the balcony with a glass of wine and a chess set and let the sound of the waves calm your soul. For a perfect day, light a fire in the fire place before you crawl into bed with a good book. The second bedroom offers a queen bed and access to a balcony facing the hills, while the third bedroom faces the ocean and has a twin bed with a trundle. Only steps away, the cottage offers two more bedrooms - one with a queen bed and one with two bunk-beds (4 beds) as well as a full bath. We bought this property in 2003 and spent 5 beautiful years here. This is one of the most beautiful places on earth, in my opinion. It is unique in the way it has one foot on the 60's and one in the future. The beach, organic food, sunsets that will give you goosebumps and sunrises with a cup of coffee in the hottub... Incredible view over the Pacific, seeing the moon reflected in the ocean at night is a sight you will remember for a long, long time. Floor heating in main house, units in cottage. INDOOR DINING: Table seats up to 8, extra table w/chairs available. Kids table w/6 seats. OUTDOOR DINING: Table on deck outside kitchen seats 6, one large table on lower deck that can seat 12. The bolinas lagoon is only minutes away. Rent a kayak or a paddle board and see the teeming life on the lagoon close-up. Seals popping up right next to you, and an amazing array of birds coming though on their migratory journey. Join a yoga session at Yoga Toes in Point Reyes Station before grabbing a coffee at Toby's feedbarn and a croissant at the Bovine bakery... This is life at it's best. Perfect for a weekend retreat! We had a beautiful getaway weekend for our staff retreat. The space was very flexible for sleeping accommodations and space for our various activities. The house is gorgeous and well cared-for. Would go back in a heartbeat. Lovisa was very accommodating and easy to reach. The owner stopped by on the day we arrived and made us feel very welcome. My family and I spent a long weekend soaking in the sun and enjoying this beautiful property--we had a fantastic time and hope to return for another reunion. The view from the master suite and reading room is world class and unbeatable. The home has most everything that you need, including Sonos, a fire pit, cozy slippers, beach towels and a fully-stocked kitchen. 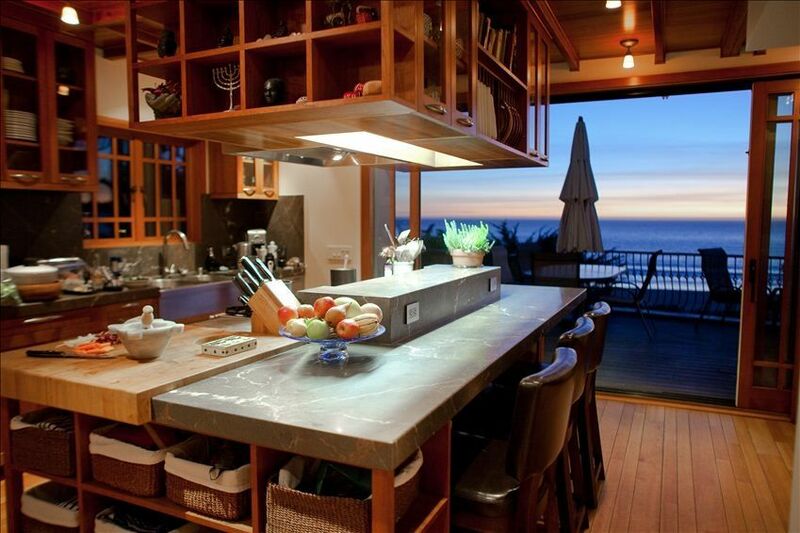 You really can't go wrong with this location, the views, and the beach access. Thank you so much for having us! Every detail was attended to. The kitchen had everything we needed, we played bocce ball, hiked, walked the beach, ate our meals on the deck with the ocean view, curled up in a corner with a book, played chess and walked into town. Everything was simply perfect, the hosts, the house and the location! Everything was perfect: the house (great kitchen and loved the cottage being able to sleep 6), the front yard (bocce court, fire pit, hot tub, etc. ), the location (easy private path to beach, walkable to town), and the hosts (Lovisa was quick to respond and very helpful). Would love to come back! We had an amazing family vacation here. Owners were locally accessible and easy to connect with. The house was comfortable inside and out. Everything was clean and comfortable. The cottage was perfect for our kids. The outdoor space was perfect for enjoying the weather and views. We really enjoyed the easy access to the beach and the town. An amazing house in an amazing place. Thank you! Wonderful & Serene & Great Family Get Together! My family (me, my wife, two sons, daughter in-law & four grand kids) had an absolutely delightful stay at this Stinson Beach villa. We HIGHLY RECOMMEND IT!!! Lovisa (the owner) and (her assistant) Karolina were so very helpful and cooperative in arranging our stay and in answering our questions. There was plenty of room for everyone in the beautiful villa and in the charming cottage. The furnishings were restful and very comfortable. The master bedroom and shower were awesome. The views were spectacular, and the sounds of the waves made sleeping very pleasurable. The gardens are beautiful, and it was a delight to watch the hummingbirds zoom around the garden area. Here are some more BIG pluses: easy beach access, nice fire pit (great for making smores), hot tub, bocce ball court, pizza oven, play house and swing set for young children.